For many, the heart of hunting season has passed and gone. 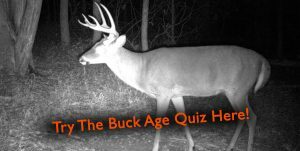 While there are still bucks to be killed, this is the time that hunters should consider off-season hunting strategy improvements that they can make to improve hunting next season. In this blog, I hope to share the two types of hunting improvements I have realized I need to make following my rut hunts on the family farm this year. Of the two types of hunting improvements, those that occur at the treestand level are more fine-scale. These hunting improvements usually deal with either moving a stand slightly or cutting out a better shooting lane to a location, but they can also involve cutting in trails to reroute deer. For example, one of my best stands is over a small food plot but deer consistently skirt around the side opposite my stand out of bow range. To remedy this, I will be moving my stand to the opposite side and cutting in a new entry route that will work better for the predominant wind. This will require quite a bit of work, but I believe it will result in more deer within bow range next year. In addition to moving this stand, I will also cut out an obvious trail for deer to use for plot entry while blocking all other locations. This will allow me to hunt confidently knowing that deer will come out within range and upwind of my stand. Deer tend to take the easiest route, and having a clear opening in the brush where there previously was none should increase my odds of success when the time to hunt comes. The other type of hunting improvement deals with strategy and evaluating whether you have enough variety of stand types to hunt. This year, about halfway through my rut hunts, I realized this was not the case for me. I love hunting over small food plots that I have created, but these plots are not always the best locations to hunt during the rut. I feel I have had more productive hunts deep in cover during the rut, but I realized this year how limited my options were for hunts in these locations. WIth this in mind, I will be adding at least two stands downwind of bedding cover before next season. Another issue I have realized in the past is that of not having enough stands for particular wind directions. This can lead to overhunting some locations, or hunting others on the wrong wind. Creating new stand locations helps fix this problem too, and sometimes, with some tweaking, the same location can be hunted on multiple winds. Regardless of the way your season has gone, you will realize a few improvements need to be made this offseason. Be sure to write these down while they are fresh in your mind, so they get done. Taking the time for these hunting improvements will make you more successful a year from now!